Qualities Of Best Sports Academy, What are the characteristics of active sports academy, What to know before taking admission in any sports academy?. is necessary to know something about the sports club or sports academy in which you are going to take admission. In this article some information about an active sports academy are given which will definitely help every one who have interest in sports. There are many sports club or khel academy in India but it is not fruitful to join any one. It is necessary that the academy in which we are going to take admission must active i.e. take parts in tournaments, train participants regularly, guide them properly etc. 1. Check the affiliation of the sports club i.e. with which it is associated and whether its certificate is valid or not. 2. Check the news regularly about the institution in related website, news papers etc. 3. Talk to the students who are taking training there. 4. Talk frankly to director of the sports academy about the advantages to take admission there. 5. Know about the training session. 1. Personal attention to every students. 2. Affiliation from ministry of sports authority of India. 3. Regular arranging tournaments, workshops, training session. 4. Guidance to students about diet plan for healthy growth of mind and body with exercises. 5. Giving the best knowledge to the related sports. 6. Professional training with tricks to win competitions. 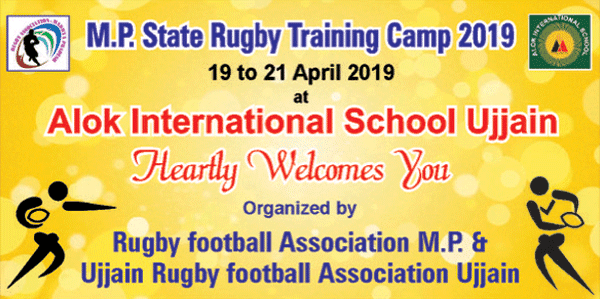 Note: There are some sports clubs which have good networks in national and international level and so scope are good if any one associated with them. Search for the best sports club or sports organization or sports academy in India to make sports as a career. Jeet sports academy Of Ujjain is one of the best sports academy in Ujjain which is giving professional training to students and trainees are showing there talents at national and international level regularly. This sports academy also give franchise to start sports club anywhere in India. Be a part of it now and take the advantages. How to start sports club in India?